Today’s post is primarily for teachers, writers, and those given to Christian thought (i.e., theology). “The intellectual … is the son of the idea … the creative Word … he follows God step-by-step; he does not follow his own vain fancy” (xviii). “By thought we find things, we do not make them” (130). Additionally, we don’t “think entirely alone: … we [also] work with the workers of the past and of the present” (145). 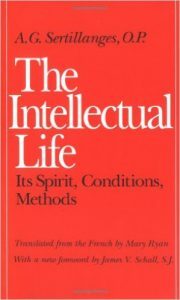 Most of A. G. Sertillanges thoughts about the spiritual dynamics of the Christian scholar are timeless: the vocation of thinking well draws the whole person into an act of grace that is founded upon reading, prayer, contemplation, and a life-style of inner solitude. This intellectual life is buttressed by a life of godliness, discipline, and skillfulness; sustained by the virtues of studiousness, constancy, patience, and perseverance. 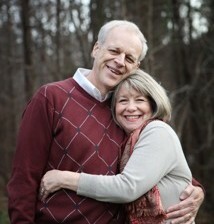 When properly done, it allows theologians, whose lives are an active part of humanity, to love God with their entire mind such that the LORD may creatively and sovereignly work good in and through them to others, which may also involve the privilege of uniquely writing and speaking from their soul to another’s. Be a person that reflects, assimilates and then originates! “‘Look in thy heart and write,’ said Sidney. The man who writes like that, without pride or artifice, as it were for himself, is in reality speaking for humanity, provided he has the talent that will carry true words far and wide. Humanity will recognize itself in him, because it is human nature that has inspired the discourse. Life recognizes life” (203). 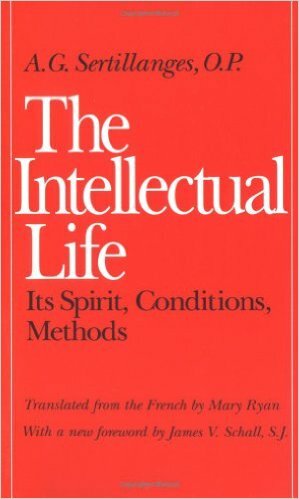 If you’re intrigued and want more, before fully reading The Intellectual Life, I’d be happy to share my annotated thoughts and quotes from it.